NutriSource® Grain Free Woodlands Select formula is ideal for all breeds and all life stages. 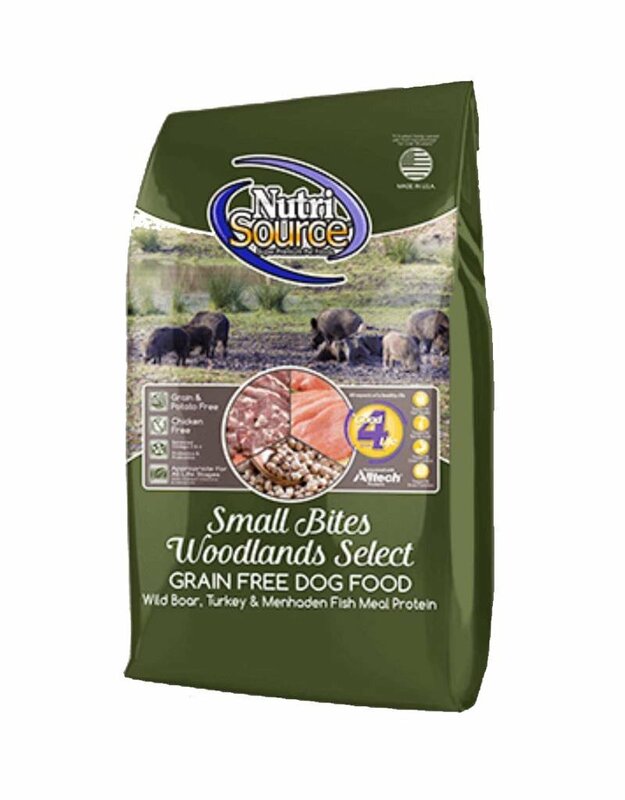 NutriSource® Grain Free Woodlands Select formula delivers super premium nutrition in a holistically formulated, easy-to-digest, low glycemic food. We combine fresh Wild Boar, humanely certified Fresh Turkey,low-ash Turkey meal, Ocean caught Menhaden Meal with North American farmed lentils with carefully selected holistic ingredients to promote balanced growth and unparalleled health for your best friend. Health of your beloved pet is our #1 priority and our unmatched use of Alltech Good 4 life supplements guarantees you won't have any gas or runny stool issues and a healthier immune system, we guarantee it. Bio-availability is important to your pets long-term health so we created a highly digestible, nutrient dense morsel with +85% digestibility rating. 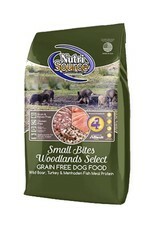 With NutriSource® you can feed less and get more nutrition - Health begins here!